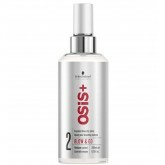 Long lasting volume Root lift Strong control Lightweight formula Osis+ Big Blast volumizing ..
Osis Blow & Go Express Blow Dry Spray is a luxurious blow drying spray which reduces blow drying..
OSiS Kit Includes: STEP 1: ACE THE BASE (1) UPLOAD Volume Cream, 200 mL (1) MIRACLE 15 Multi-Pu..
Osis+ Bouncy Curls provides strong curl control for fine to medium curly hair. 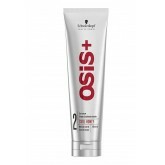 Give hair strong curl..
Osis+ Curl Honey is a curl cream that defines natural coarse and frizzy curls & waves. 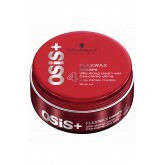 Give curl..
Schwarzkopf Professional Osis+ Damped Wet Look Pomade is ideal for creating flexible wet-look styles.. 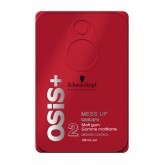 This specially priced holiday 2 pack includes: OSiS+ Bouncy Curls, 200 mL OSiS+ Curl Honey, 150 ..
Mattifying Powder lets you create styles while providing a lightweight texture and separation. 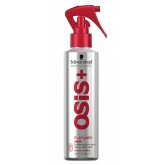 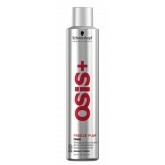 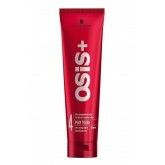 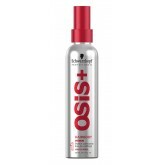 Gives..
OSiS Fab Foam Classic Hold Mousse offers flexible and textured volume, helps to protect against blow..
OSiS+ Flatliner gives you 30% longer-lasting ultra flat styles. 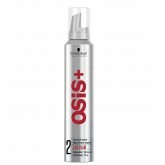 Smoothes and reduces frizz while pro..
Ultra strong texture and separation control cream wax that will give your hair a natural, non-greasy..
Strong hold non-aerosol hairspray is perfect for naturally curly and textured hair. 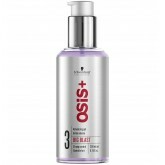 Enhanced with ba.. 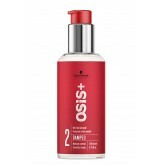 Kill routine with the feather light OSiS Hairbody Style & Care Spray, a must for natural styling..
With a smooth silky touch finish Magic offers instant mirror like shine with weightless hold and sep.. 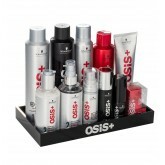 The ultimate mess up and matt finish option OSiS Mess Up Matt Gum kills the styling routine! 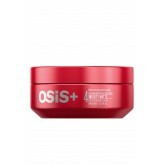 With a ..
Osis+ Mighty Matte is an ultra–strong matte cream for strong matte looks with extreme hold. 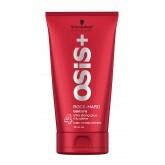 Pe..
Schwarzkopf Professional Osis+ Play Tough Ultra Strong Waterproof Gel is an ultra-strong and long-la..
For radical styles and shapes reach for OSiS+ Rock-Hard Ultra Strong Glue. 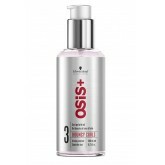 With its long lasting hol.. 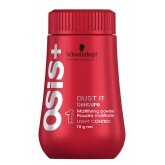 Gritty texturizing clay. 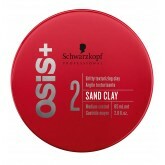 The first pliable clay from Schwarzkopf Professional infused with Kaolin Sa..